Shield Bearers is a unique ministry to our local law enforcement community. Every deputy, trooper, and correctional officer receives a gift card from Life Church for their birthday, anniversary, or birth of a child. It’s our way to show the love of Jesus to those who work tirelessly, often without thanks, to keep us safe. 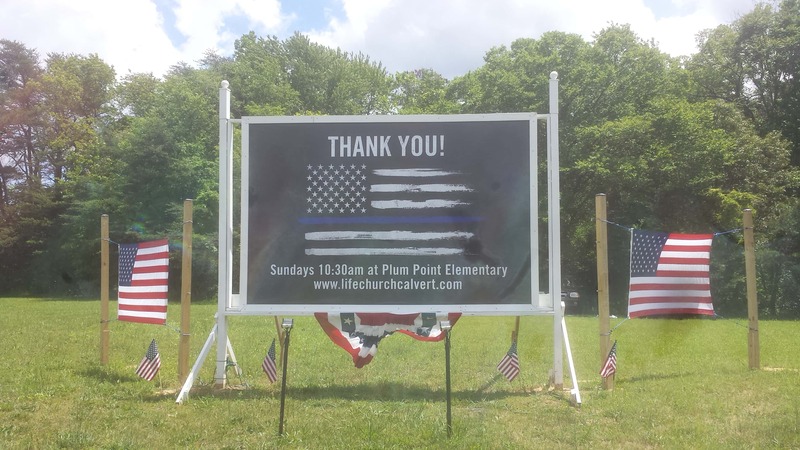 In honor of those who serve we have placed a new sign on the church property to show our appreciation. If you would like to know more about ways you can get involved stop by the Life Line table or email us atinfo@lifechurchcalvert.com.